Considering the generous rewards in the corporate world for the folks at the top, this isn't much of a surprise. 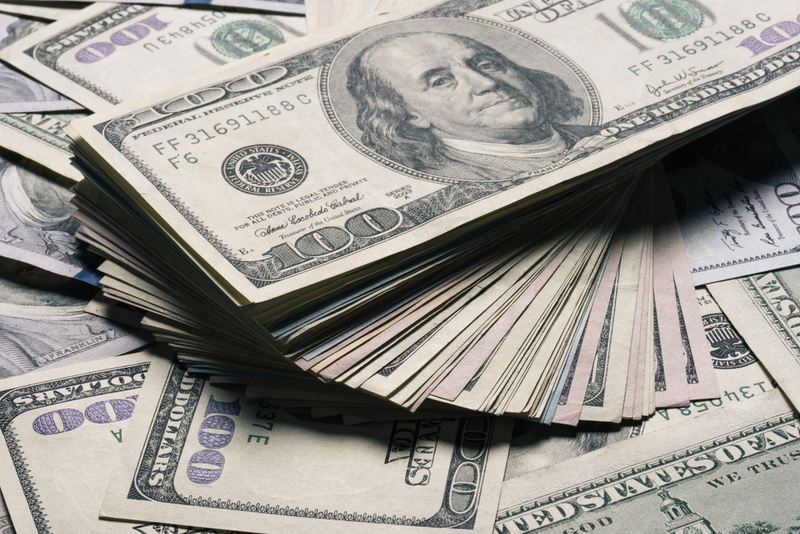 Whirlpool CEO Marc Bitzer earned 578 times as much as his company’s median employee in 2018, while Lear Corp. CEO Raymond E. Scott made 987 times as much as a median employee at the auto supplier. 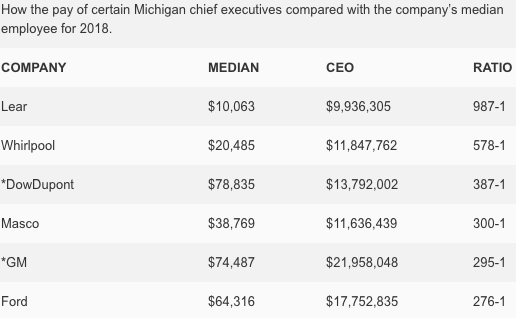 New filings required by the federal government show top executives at 12 of Michigan’s largest publicly traded companies earned, on average, 332 times as much as their median employees, who in some cases work outside the state in lower-wage countries or do not hold full-time jobs. While critics contend the pay ratios can be unreliable, difficult to compute and costly for companies to calculate, labor organizations have championed the disclosure amid a national debate over pay equity.